More than two-thirds of all Americans take a dietary supplement on a regular basis (x). But speculations and questions surrounding dietary supplements are ongoing. Are they safe or effective? Are they regulated? In order to become an educated and confident consumer, it is important to understand how dietary supplements are regulated. Dietary supplements are found in many forms including tablets, capsules, softgels, gelcaps, liquids or powers. Contrary to rumors, dietary supplements are regulated. In fact, dietary supplements have been regulated in the United States for well over a century. Regulations started with the Pure Food and Drug Act (PFDA) of 1906 and was followed by the Federal Food, Drug, and Cosmetic Act (FDCA) in 1938. The FDCA established the category “foods for special dietary uses” which included vitamin supplements, fortified foods and infant formulas. It was not until 1994 that the United States Congress passed the Dietary Supplement Health and Education Act (DSHEA), which amended the FDCA and established specific provisions for dietary supplements. DSHEA classifies dietary supplements as foods, not drugs. This helps consumers maintain access to natural food supplements such as vitamin C.
If dietary supplements were regulated like drugs, they would be required to go through the new drug approval process. This means most of the supplements would disappear or cost an arm-and-a-leg. Even then, it’s not uncommon for drug products that have been approved by the FDA, to be recalled later due to safety concerns. DSHEA allows the FDA to regulate dietary supplements in two ways. First, the FDA regulates product labeling. If a marketer wants to make a claim of a dietary supplement, they must submit the proposed claim to the FDA within 30 days. Second, DSHEA requires that supplement manufacturers adhere to Good Manufacturing Practices (GMP), which help ensure specific standards for maintaining product quality. These standards prevent the inclusion of a wrong ingredient, too much or too little of an ingredient or potential contamination. The FDA inspects supplement manufacturing facilities periodically to ensure these standards are adhered to. The Federal Trade Commission (FTC) also maintains authority over supplement advertising. Manufacturers must ensure that what is reported on the label is present in the product and that claims are truthful and not misleading. More recently, the Dietary Supplement and Nonprescription Drug Consumer Protection Act of 2006 requires manufacturers, packers or distributors to submit any serious adverse event reports to the FDA (x). This is FDA’s way of informing the public of any adverse incidents related to a product. This is the same reporting system used for FDA approved drugs and biologics, such as vaccines. Should the FDA find a product to be unsafe, it has the authority to remove the product from the marketplace. The FDA does regulate dietary supplements, but the regulations are different and less strict than prescription or over-the-counter drugs. This, however, does not mean dietary supplement manufacturers don’t perform testing or that products are unsafe. 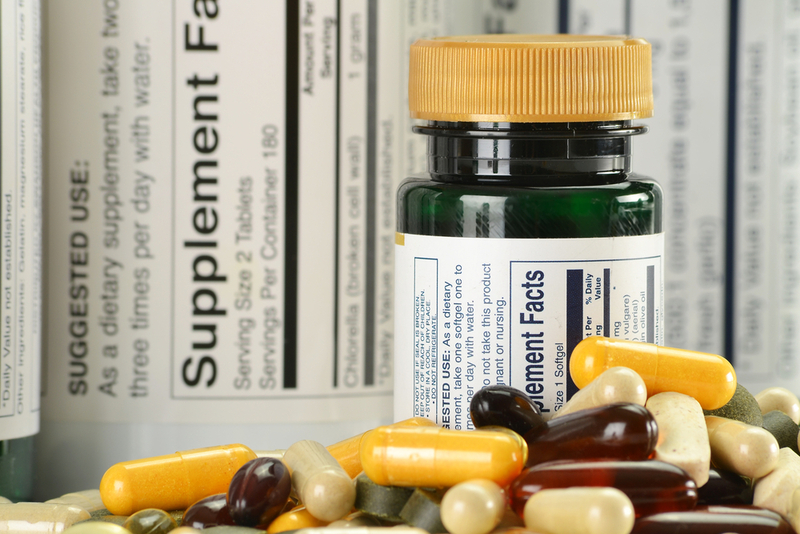 The majority of dietary supplements are safely used by millions of Americans each year. And while supplements cannot take the place of a nutritious diet, some can help you achieve adequate amounts of essential nutrients.